A brand new Tactics RPG with 2 different stories! The year is 4097, and the Allied Galaxies of Robots have assembled. 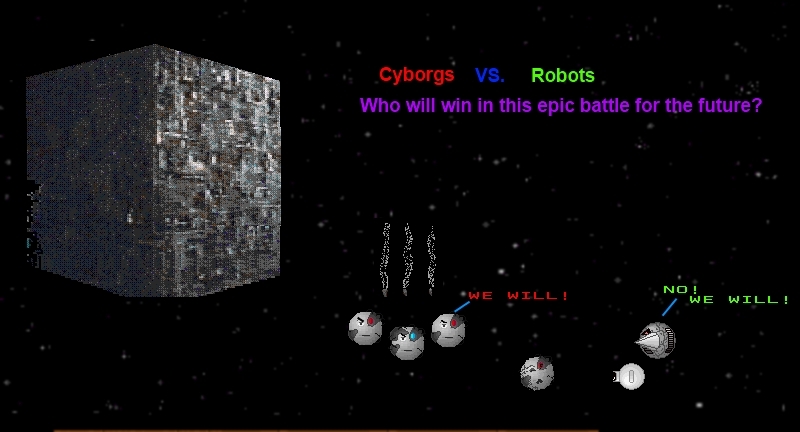 Cyborgs have invaded a nearby outpost and have commited an act of war according to the AI treaty. Your Mission if choose to accept it, is to take a strike team and rescue the surviving robots. Then with the surviving robots launch a strike into the heart of the Cyborg homeworld. Which side will win? You decide! Story 2 Consists of the Cyborgs trying to take over the robot galaxies planet by planet until they reach the source of all robots!